A few weeks ago, Light Life sent me two samples of their newest products to try. Light Life has a great meat-alternative line and I saw they had a great reputation among my vegetarian friends so I figured I would give it a try. My first thought for these sausages was the classic Sausage and Peppers. But I didn’t want to set myself up and not like the product (such a pessimist) so i thought I would add one to my breakfast. 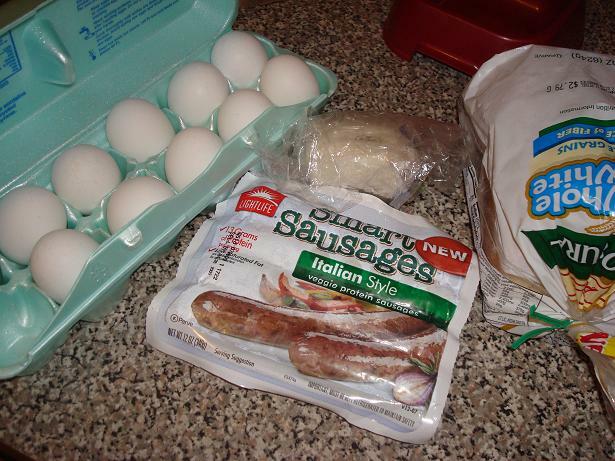 Eggs, goat cheese, Arnolds white Wheat, and Light Life Italian Sausage. 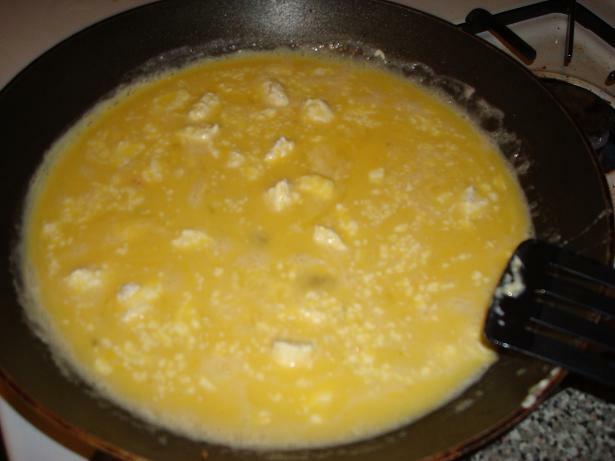 I started by whipping the eggs and adding some goat cheese to the mix. I put it in the oven at 400* for 10 mins. Then i sliced the sausage down the middle and placed on a screaming hot grill pan. I let it get those groovy grill marks and could smell the herbs. It honestly smelled like an italian sausage. I was getting very optimistic. 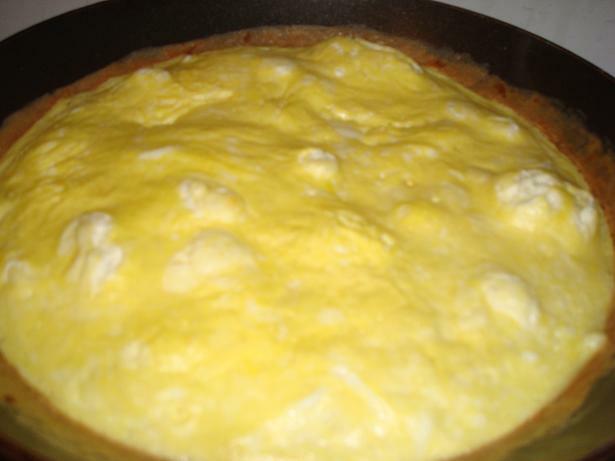 When my eggs came out of hte oven, the goat cheese had expanded and gotten soft and smelled sooo yummy. 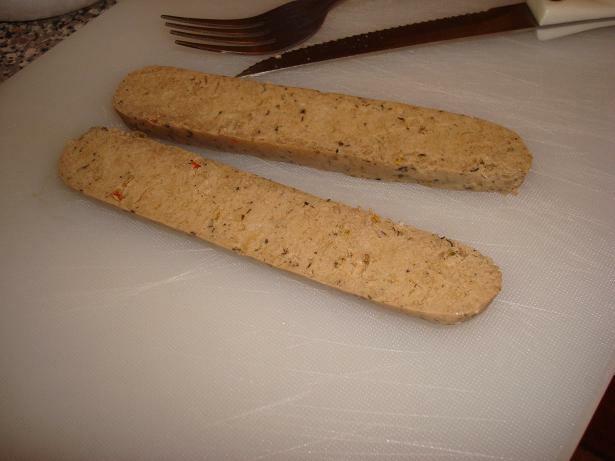 I sliced it into 4’s and served myself a wedge. The sausage wasnt a total fake out but it was a pretty good copy cat. it was tasty and had a nice texture. 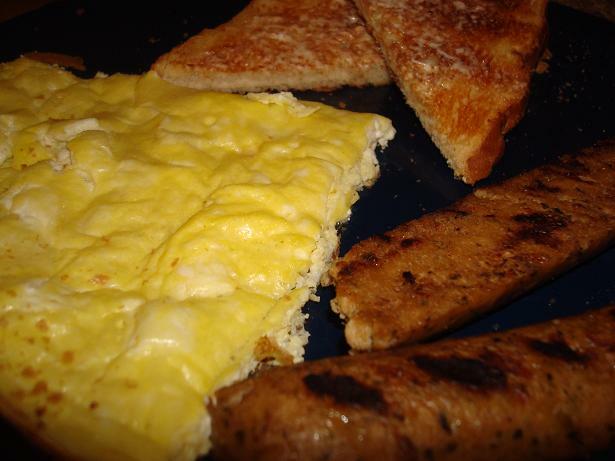 I think next time I will dice the sausage and saute it before adding it to a frittata or making a classic sausage and pepper dish. 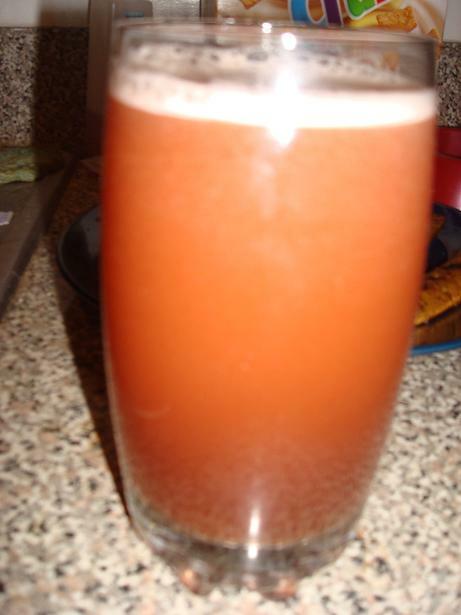 To go with my breakfast, I made some diet iced tea with lemon and some POM. 🙂 Yum! 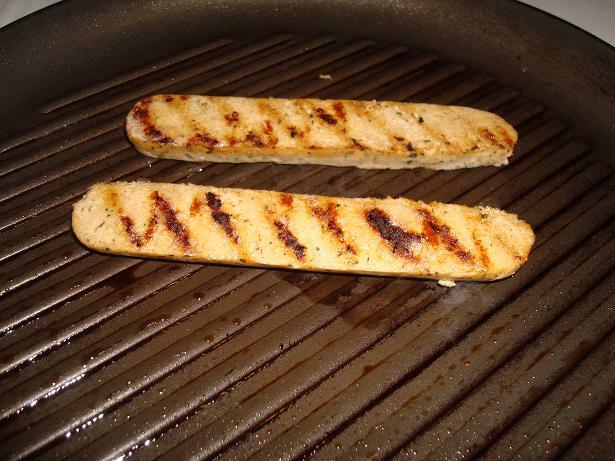 those ARE groovy grill marks….